Caruthers re-read the despatch lying on the bed sheets beside him. Damn this bally leg, damn that blasted steradon, damn it to hell. The cheek of it. Charging just as he took aim. An absolute bloody liberty. Hell's teeth, this was no time to be stuck on a ruddy camp bed. "Jones" he bellowed "where in damnation are you man? Jones!". "Sir?" came the plaintive cry as a head poked through between the tent flaps. 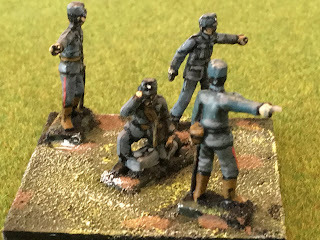 "Get me Brigadier Nicholas, and be quick about it man, there's not a moment to lose"
"Sir" and Jones backed quickly out beneath the tent flap. Reports. Reports blast it, and bally disturbing reports at that. Reports of disparate forces of evil coming together like never before, and Caruthers stuck on his back. Nicholas would have to deal with it, no two ways about it. "Jones, damn it all. Nicholas, where are you man? Hurry up or we'll be in a right buggers' muddle". So, the scene is set for another 72 point Big Battle HotT game, with the VSF army pitched against an evil forces combo of Undead, Spiders and Orcs. This was Nick's first game in several years as he stood in for the injured Major General Caruthers, while I fielded the newly arisen evil alliance. Brigadier Nicholas ponders his deployment as he prepares to attack the forces of evil. The evil alliance had formed as the result of some crafty work by the spider queen, to whom the honor had been graciously granted (ahem!!) to lead the army as a whole.. The Spider Queen, flanked by her Hero (sigh.. heart throb) on her right, and a behemoth mountain troll form her orc allies on her left. The Undead were lead by that greatest of necromancers Count Dracula, his necromantic skills supported with the powers of his greatest magicians. Meanwhile the orc'ish hordes counted amongst their number three fearsome units of orc chariots (Knights), their general commanding from the platform of one of them. In the background is the madcap aerial device of their great aerial hero. 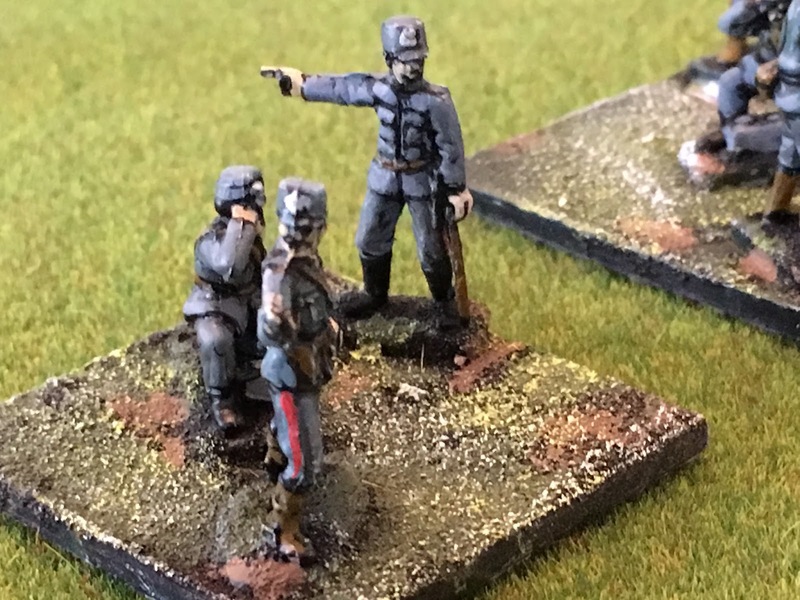 The British forces lined up against them under Brigadier Nicholas' command. Off table, and due tia rrive any second, was the great mechanical dragon. The forces advanced against each other in the centre, but played 'footsie' with each other on the flanks. Orc'ish warband and bladed being uncharacteristically cautious on the right. The orc right is supported by the aerial hero. With very little hoopla at all, Spider Man, the spider Queen's great good, arrived and took his place in support of her. Spider Hordes held up in bad going. 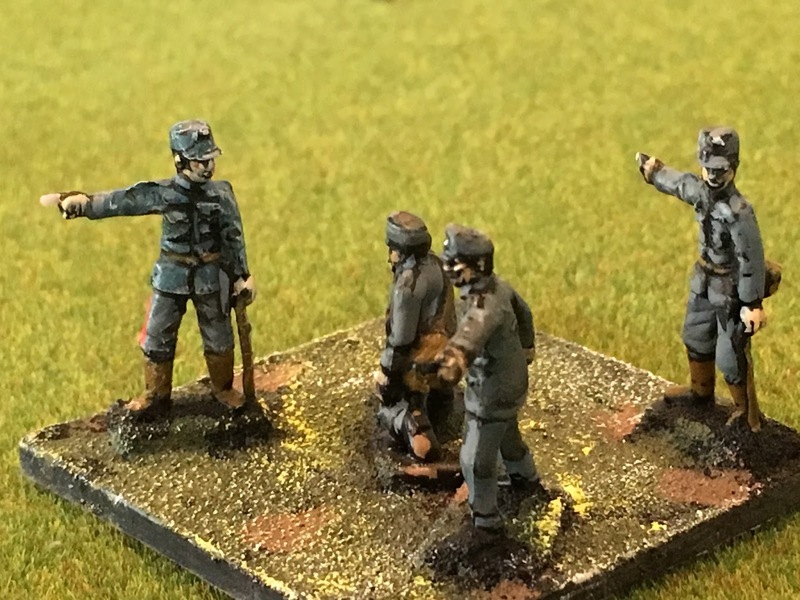 Finally the fiendish Orc scientist has a brainwave ( a rarity, you understand) and flies into the rear of Brigadier Nicholas and his body guard of fine British lancers. And it's all over, Nicholas lying somewhere pinned beneath his horse (or worse, those orc were hungry after a heap of fighting). The battle came to a premature end, just at a point where it appeared to be shaping up to be an epic tussle, with Nick's loss of his CnC. He'd lost more other elements than the evil forces (well in fact the evil alliance had lost none). 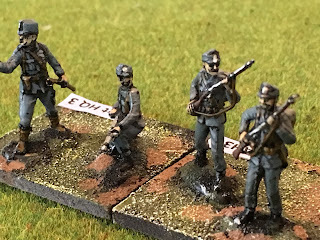 Having exhausted the current stocks of Austrian infantry for the eastern front (and awaiting re-supply .. perhaps appropriate given the performance of the Austrian army rear echelons in the opening weeks of war in 1914), I turned my gaze in a different direction. Good friend Adrian recently gifted me a rather large collection of modern 6mm kit, sufficient in fact to do most of the vehicle requirements for Soviet, Dutch, BAOR and American forces from the early 1980s. 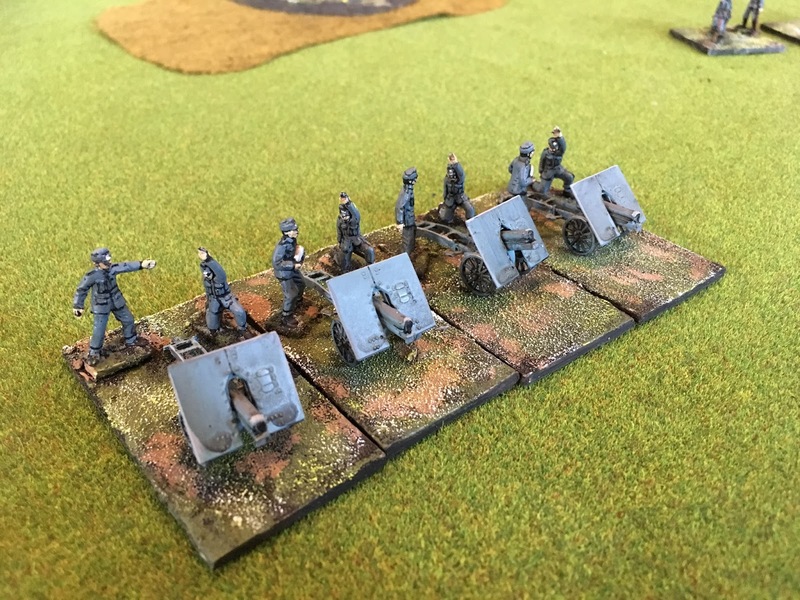 The collection is lacking infantry, so completion of the mechanised combat teams will have to wait, but in the meantime, the armoured components can at least get the make over required. I have been considering creating a Soviet army for some time, so that is first out of the starting blocks. 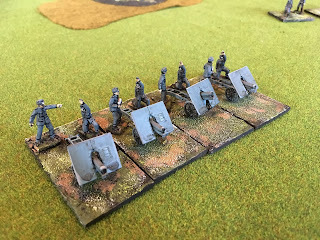 Adrian had painted the Soviets in a colour scheme suitable for Afghanistan, but we typically fight actions based on the European TOO, so they required a repaint, and then basing for Spearhead our rules set of preference. Here are the first fruits. The collection included 8 x T62's, and 6 x T72's, so they represent the beginnings of the nascent Soviet forces. 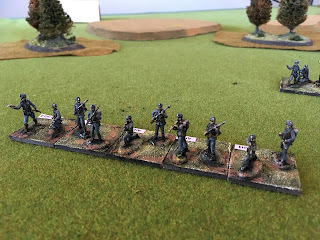 I'll need to order the infantry before I can progress the infantry battalions. I think I'll also need to work out some army lists so that I see what (if any) other support vehicles I may need that aren't in the collection. Our summer break/holiday this year has included a trip to New Zealand's beautiful Golden Bay. The area is a gorgeous part of the country with areas of relatively untouched New Zealand. Taking coffee in a garden in which Tui and Fantails sit and call is something pretty amazing. However back home again, and the painting table calls. In progress is the completion of the eastern front Austro-Hungarian army which has been 'in play' as it were for a couple of years at least. 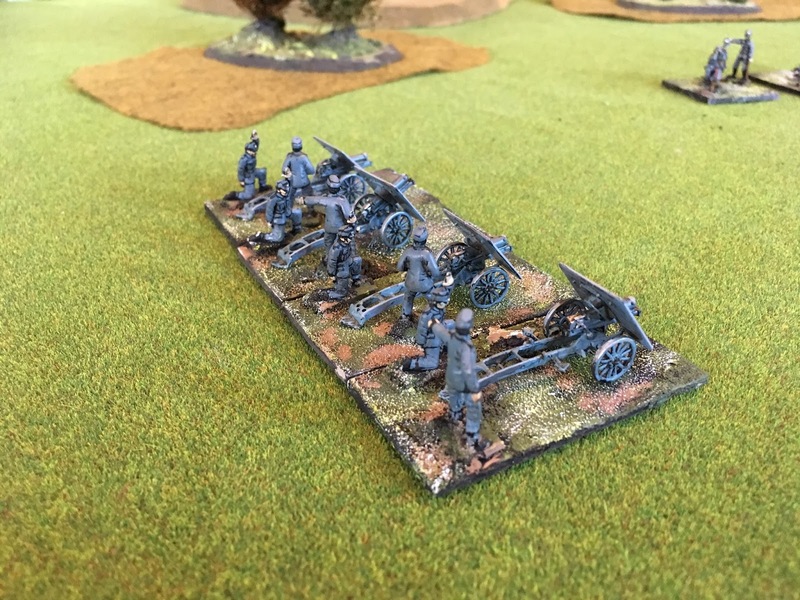 I have just finished a regiment of Austrian 75mm mountain guns, for no particular reason that that I like the look of these guns. Tis gives me two on table regiments. I also had an incomplete infantry regiment, something IO'd overlooked, so four extra stands and a regimental HQ were the order of the day there. I have modified my painting style a little, leaving less black showing through, and applying a wash and subsequent highlight. I was after something a little more subtle. I like the result a little more. Finally from this batch is a second divisional HQ, and a Corps HQ. Of course there is an agenda here - to be able to fight some of the scenarios from Shawn's latest scenario book Summer Harvest available for purchase here, featuring scenarios from the Russian/Austrian battles of 1914. All I need is the 'gaming time, and some willing opponents. The former seems to be the biggest obstacle at the moment.